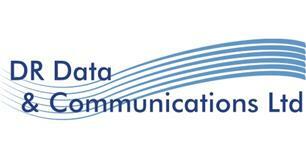 DR Data & Communications Limited - Telecommunications, TV Aerials/Satellite Services based in Cheam, Surrey. DR Data & Communications was set up by David Simpson, with over 19 years’ experience in the telecoms industry. We cover all aspects of telecoms for residential and business customers. We have had great success installing Wi-Fi solutions, combatting the frustrating issues of Wi-Fi black spots in any size property. Once the installation is complete, excellent Wi-Fi coverage will be evident through out the property allowing devices to roam freely with out having to log out and back in again. We complete phone system installations including VOIP, in particular we specialise in Panasonic phone systems making sure that we actually listen to your requirements and provide you with a solution that will work best for you. We also take care of remedial work such as relocating or adding telephone sockets, removing old redundant cabling, re-routing of cables and fault finding. One thing is for sure, whether you are a residential property, a school, a GP surgery or large businesses we treat each and every job with the utmost respect and we pride ourselves on our customer service and professional workmanship. Please feel free to call me if you have any questions or require advice.